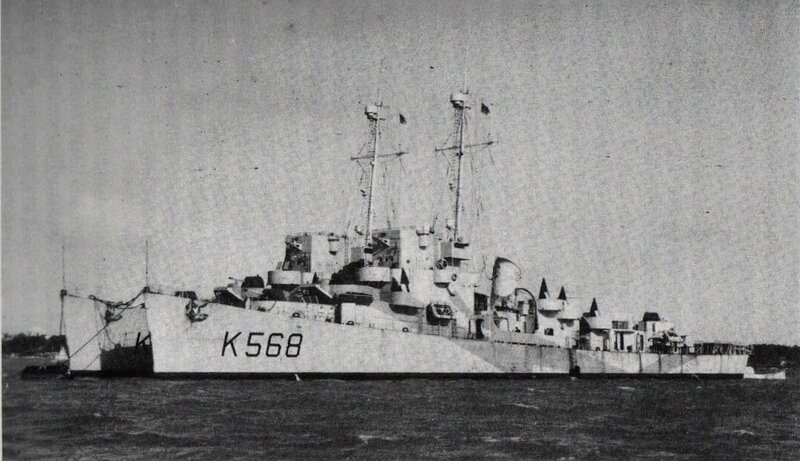 14 August 1943: Keel laid by the Boston Navy Yard, Charlestown, Mass. 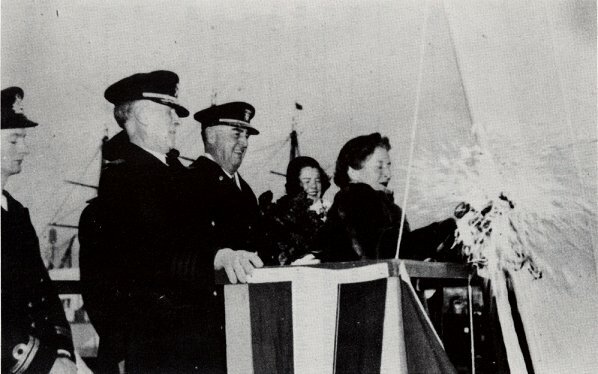 47k 24 September 1943: Boston Naval Shipyard - Lt. Denis Jermain, RN, looks on as Mrs. Sara Fischer christens the future HMS Manners. 190k undated: the Great Sound, Bermuda - HMS Manners at anchor in Grassy Bay, near the Royal Navy Dockyard on Ireland Island. 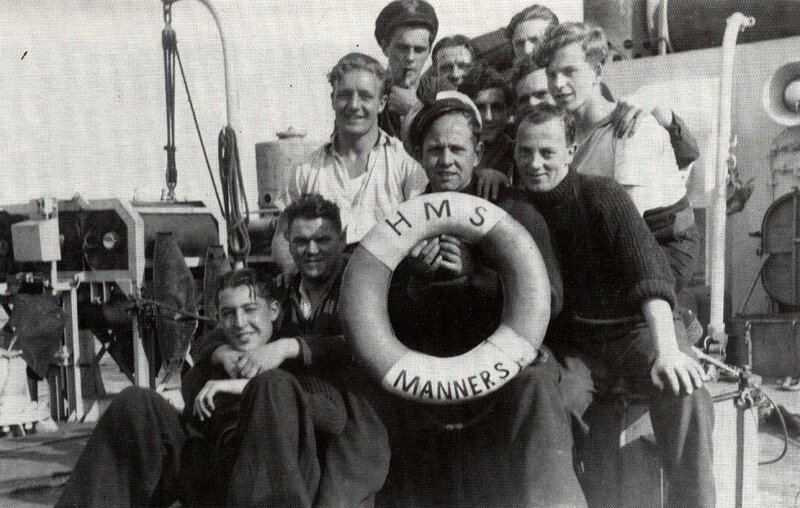 163k undated: Crewmembers pose for a sunny photo on the ship's quarterdeck. 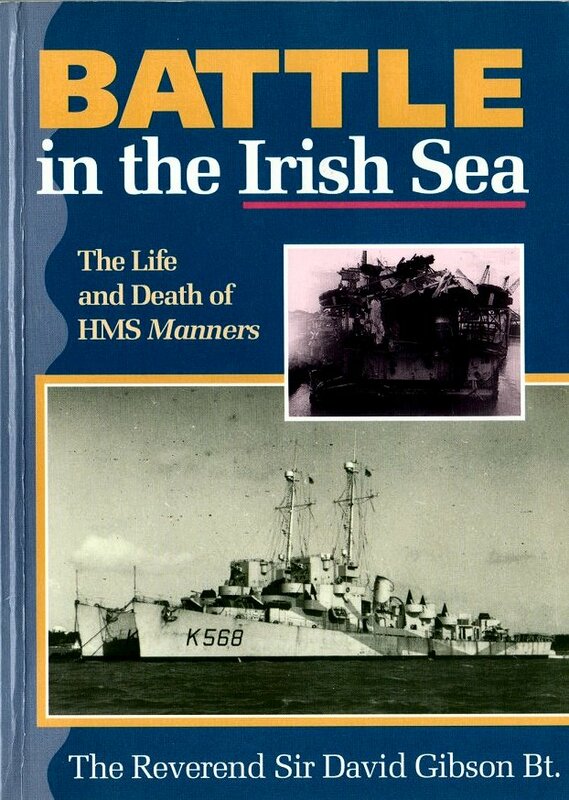 148k undated: HMS Manners at anchor, awaiting her next convoy at Larne. 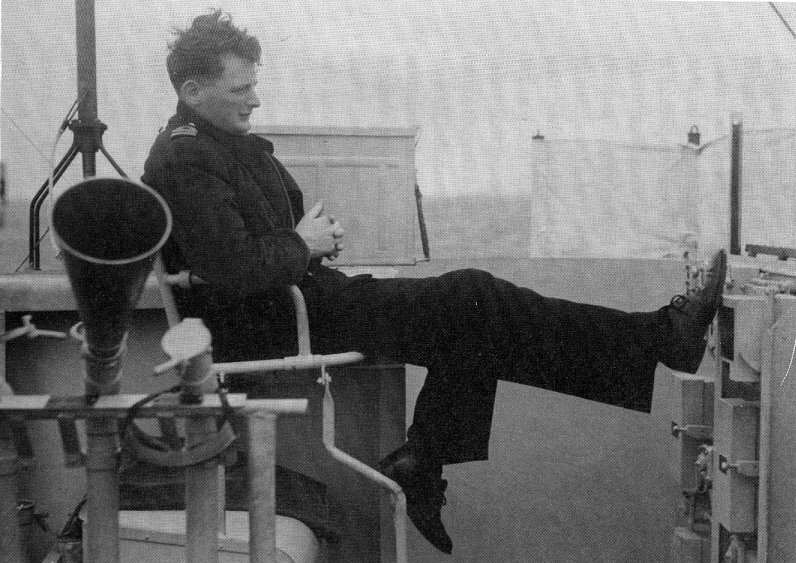 126k undated: the North Atlantic - Commanding Office Denis Jermaine sits on the port bridge wing awaiting the next thing to happen. 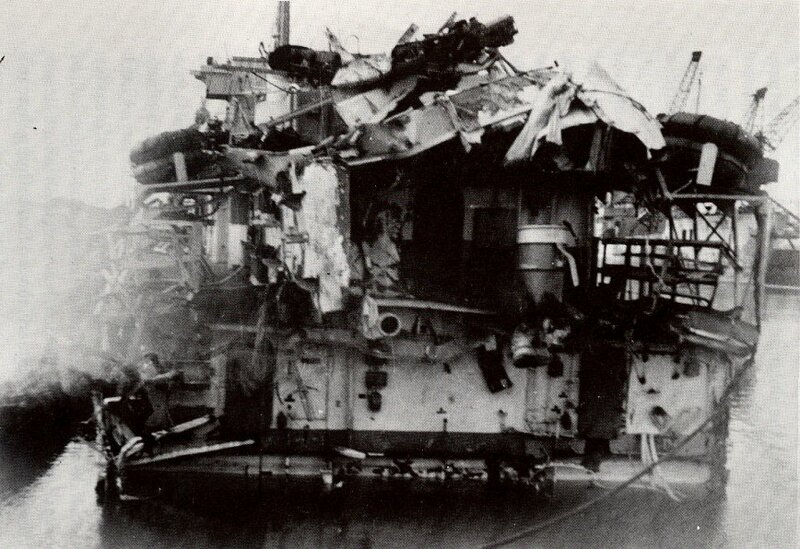 150k undated: the damaged stern of Manners as she sits in the outer harbor at Barrow-in-Furness. 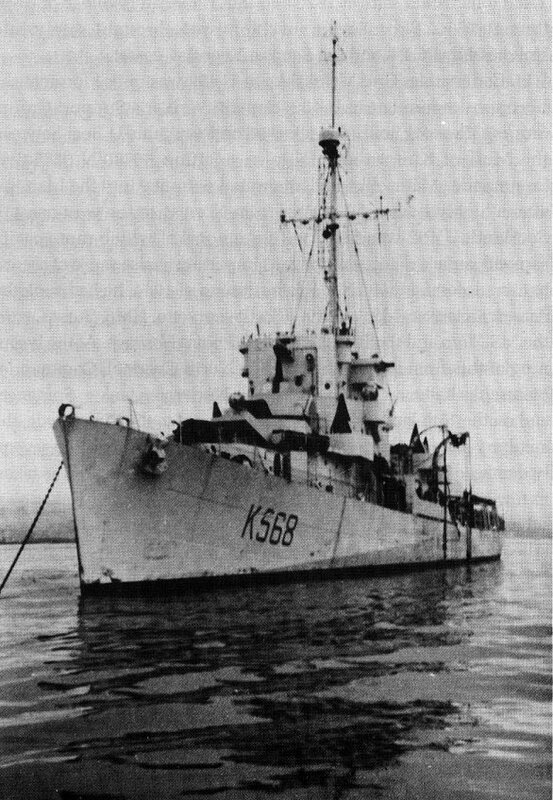 View the HMS Manners (K.568), ex-(DE 523) DANFS history entry located on the Naval History and Heritage Command web site.